It is situated on the eastern side of the island in sea-summit vertical arrangement, with a total of about 43 square kilometers, accounting for 6.12% of the islands. Its boundaries are defined, on the north by the Barranco Seco Puntallana, south to Breña Alta Canyon by John Major, the ocean to the east and west of the crest Cumbre Nueva and La Caldera, where you will find its highest point (Pico de la Nieve, 2,247 m). The entire slope is cut by deep ravines, product of a long process of erosion without eruptions that modified the landscape, the only notable volcanic cone is Tagoja Mountain, at 1,097 m altitude. The first human occupation, settled on the old Canton Tedote, goes back to the first half of the first millennium BC with the arrival of the first contingent of settlers from North Africa. Their presence is observed in some landmarks like the town of Cuevas del Morro de Las Nieves, even with the presence of rock carvings, bowls and the channels and Erita upon the top of the town (complex set of engravings). 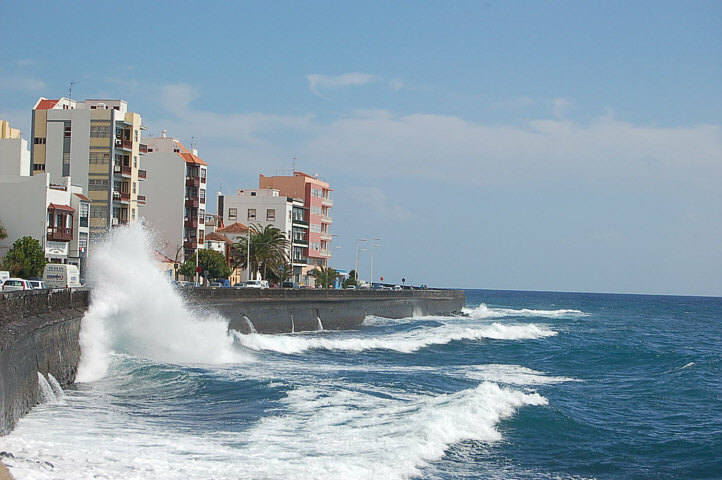 The city of Santa Cruz de La Palma was founded in 1493, marking the end of the Spanish conquest of the island. The city will soon grow hegemony socio-political and economic dynamics of the island, structuring new companies, mixing and crossing of aboriginal blood, Spanish and European setting of palm idiosyncrasy proud manifesting excessive love for his land. 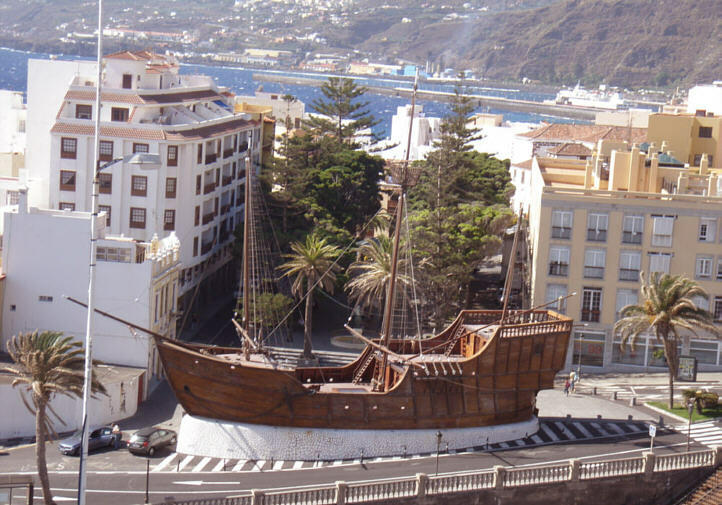 The history of Santa Cruz de La Palma begun around 1553, when its inhabitants were surprised by the invasion of 700 French privateers, who took the city for nine days, destroying it before being expelled. 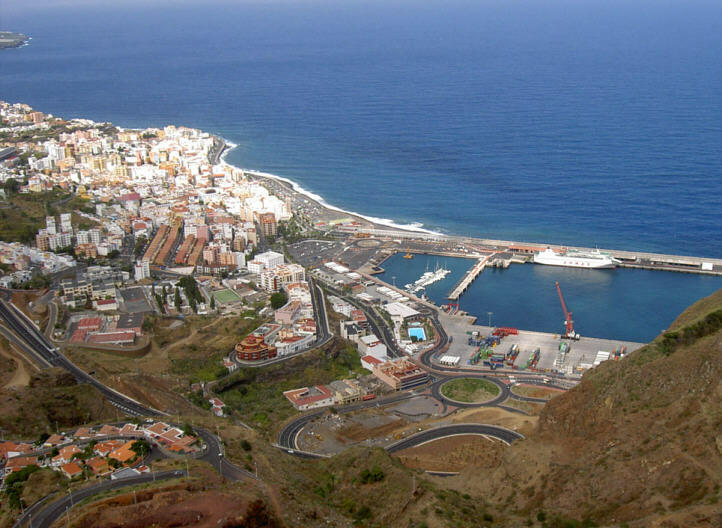 Business grew later and in 1558 the First Court of India was founded leading to a portentous mercantilist development which brought the harbour of Santa Cruz de La Palma as the third port in the world. As a result of this commercial activity, the city began a wild palm major ship-building and prestige. A crucial event in the history of Santa Cruz de La Palma was the fight against the abuse of power exercised by the perpetual aldermen at City Hall. The result was a democratically elected political representative of the residents of the municipality in 1773. 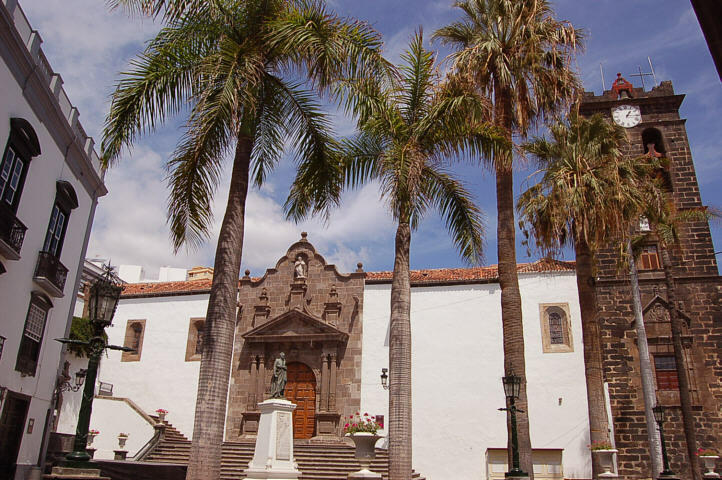 This town was the first to debut democracy throughout the Spanish Empire and before the Americans achieved their independence and created the first Constitution. In the second half of the nineteenth century, interest in the Enlightenment lead Santa Cruz de La Palma to the center of the new teachings, Masonic lodges, publications, museums, municipal hospital, foundling, new political ideas, cultural associations, arts, music, theater, film, industrial and technological development, such as electricity, telegraph or telephone. The castle of Santa Catalina was built in 1692, being in military operation until 1808. The building acted as a prison and as a barrack. 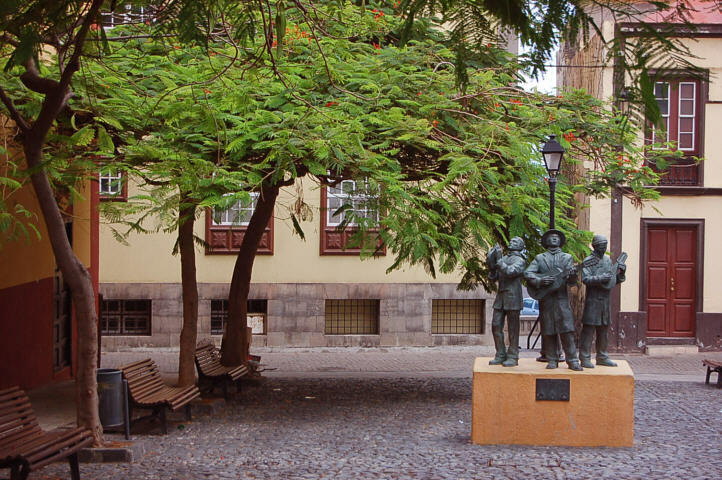 This national historical monument is the only copy of the Hapsburg era is preserved in the Canaries. This museum is a replica of the Santa Maria, one of the ships used by Christopher Columbus to discovered America. The visitor could find inside a small exhibition, navigation charts and instruments and could walk on the deck of this ship. 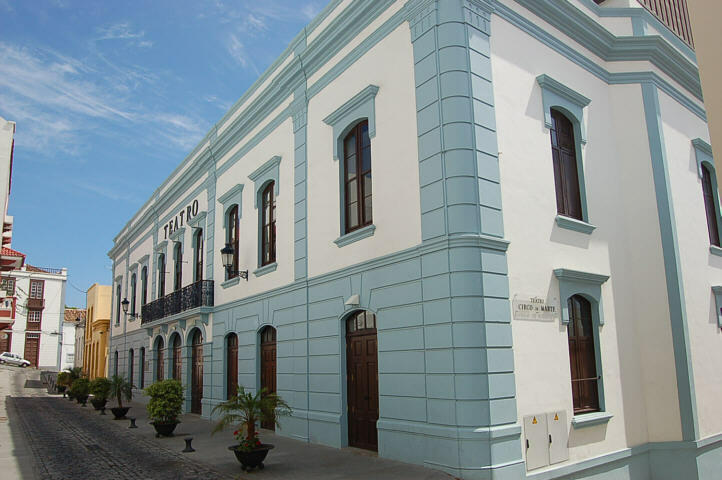 The restored convent next to the San Francisco church houses the Insular Museum, the island's museum. 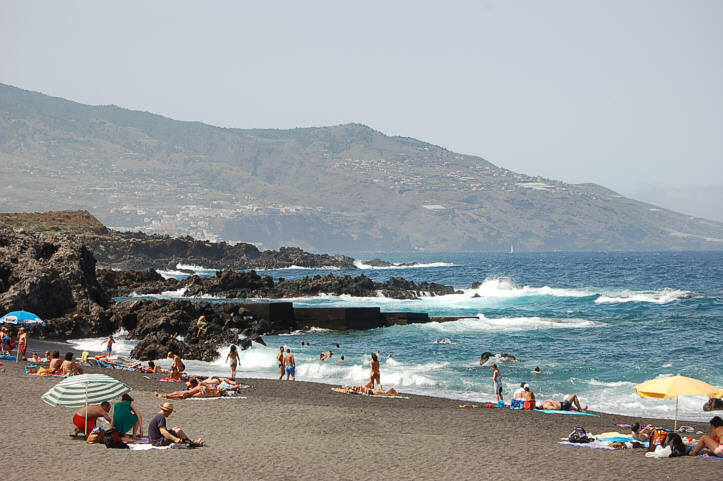 The visitor could learn here about the nature (including birds, reptiles, fish and mineralogy) and also culture of La Palma (including Flemish and other paintings from the Museum of Modern Art in Madrid, and famous artists such as Fortuny and Sorolla). Also one can see here few aboriginal pottery, prehispanic prints, and other signs of Guanche civilization, agricultural objects, livestock and craft. 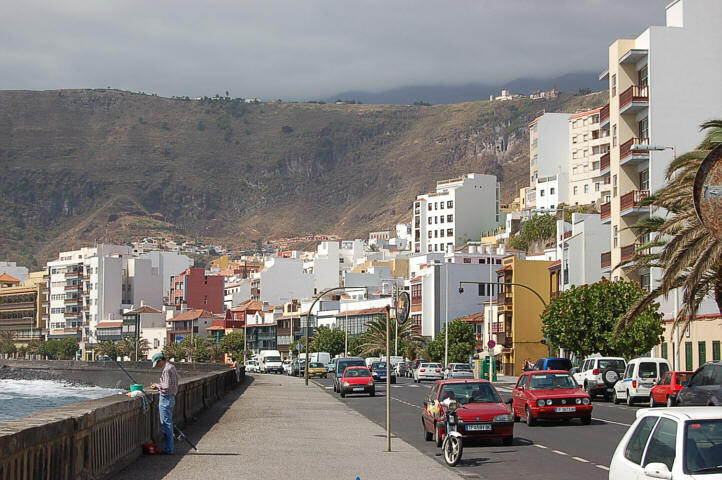 Santa Cruz de La Palma clings to terrain slopes adopting a phased urban design, punctuated by alleys that lead to places with the charm of a city sailor looking out to the sea. To the side of Ocean Street walk the old Navy, salt water splashing visitors photographing the balconies overlapping avenue. Once were relegated to the rear facades of important houses of the Calle Real, beautiful viewpoints are privileged today, wood carvings, painted green mountain closed or glazed with discrete lattices. 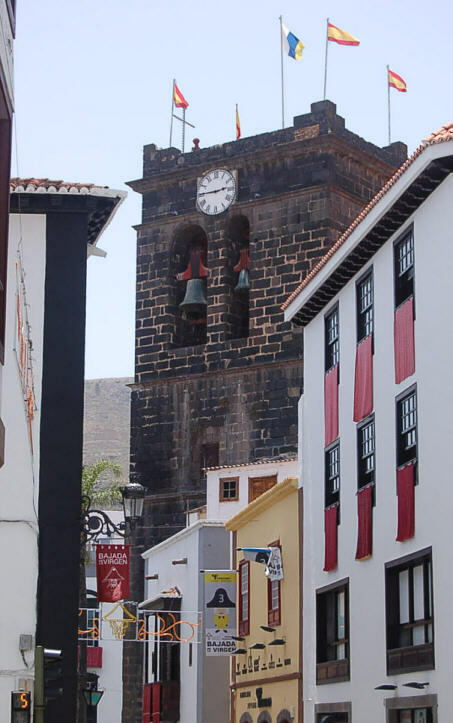 The center of the city is the Plaza of Spain, sheltered by the City Council and the Parish of Salvador, which is the most important Renaissance church of the Canary archipelago. The worn steps lead us to the upper quarter of San Sebastian, the convent of Santo Domingo and the small chapel of San Telmo. 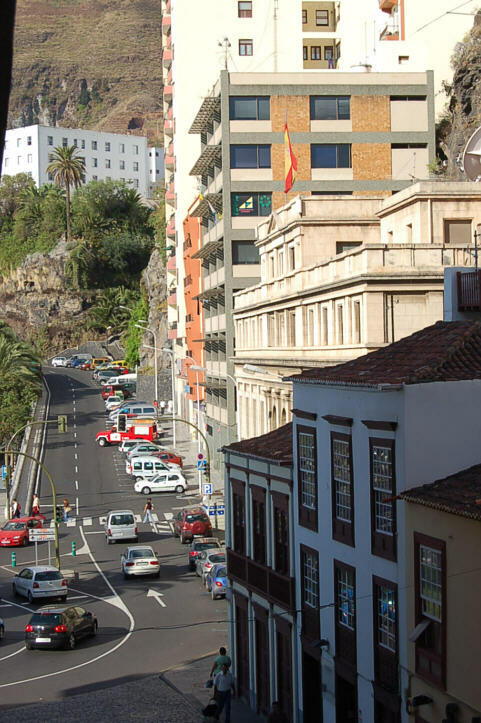 The cobbled street invites visitors to see the Plaza of the Divine, the source of the Placeta singing Borrero, culminating in Alameda. From here we proceeded to the church of San Francisco, the sixteenth century, hosting the Museum Island. At Plaza converge School of Music and Artisan Center San Francisco. 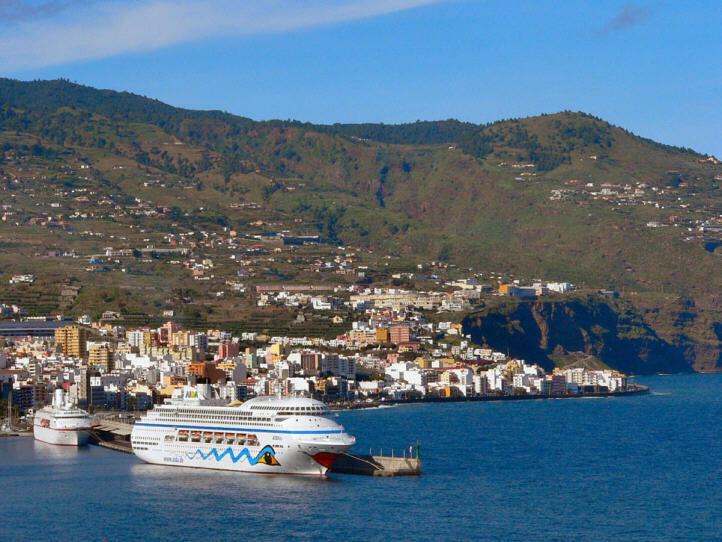 This popular resort is located between the airport and the capital Santa Cruz de La Palma, being the main tourist hub of the eastern side of the island. Here, dark lava flows venture into the ocean, creating a spectacular landscape which includes a nice promenade along the coast. Rich endemic vegetation withstands the salt-laden breeze lining the volcanic terrain on which some hotel resorts offer a wide range of accommodation. The small black sand beaches of Varadero and Playa Nueva offer calm waters for diving, scuba, volley and other sporting activities. Several viewpoints along the path and a small natural teather offer magnificent views over the Atlantic. Crowning the cliff stands the Cancajos Vandama Tower, a pile of stones that are distributed in stages as a result of land clearing for farming. Formerly used to dry tunas and figs, this structure was named after the Flemish name of the former owners of the property. This viewpoint, neighbor to the chapel of the same name, is located on the southern edge of a crater Natural Monument at 300m altitude above the sea level. 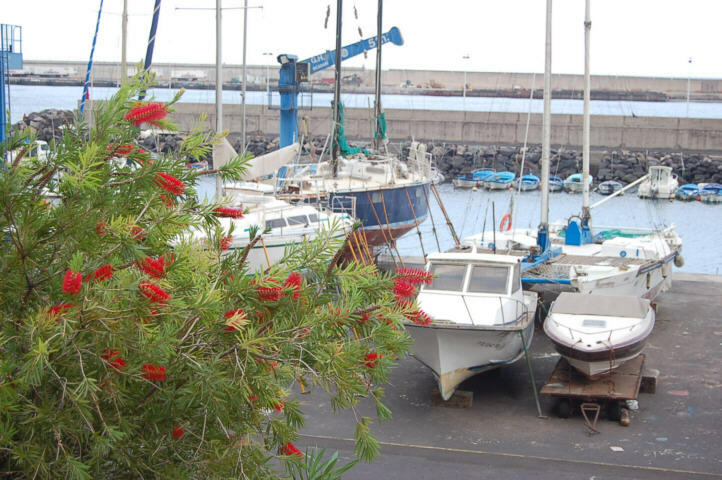 It offers unbeatable views of Santa Cruz de La Palma and its harbour. On the other side the view extends to the island airport, located in the municipality of Villa de Mazo. 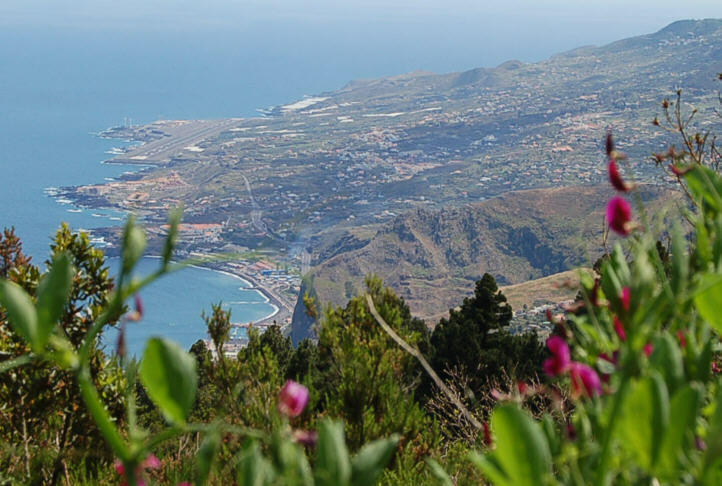 From this scenic point the visitor can admire a beautiful view of the city of Santa Cruz de La Palma bordered by the Atlantic Ocean to the east and the other sides to the coast forest. 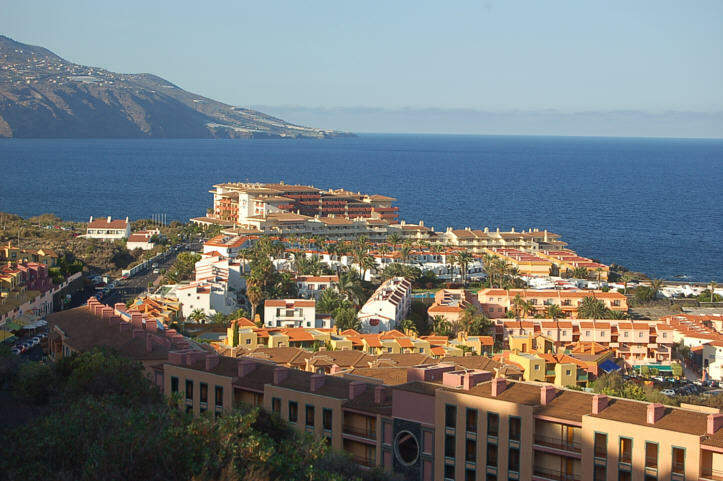 This place gives panoramic views of La Gomera to the southeast and of Teide from Tenerife Island to the center.